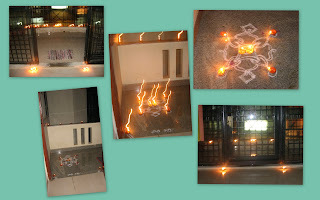 I was browsing for some stories about Karthigai, and found a very nice blog. Unfortunately I cant seem to leave comments on blogs which have disabled author verification. Can anyone tell me why and what I must do for that? So to my understanding the general consensus is that Shiva took the form of a fire column, in order to show Brahma and Vishnu that God is limitless. Then Why do Vaishnavaites( followers of the Protector God/ Vishnu) celebrate this event as well? This is purely an academic question and does not reflect my religious or spiritual standing. I want to know the stories that Vaishnavaites are telling. All I know is that Shaivites and Vaishnavites light the lamp on 2 different days, and the first is called Annamalai Deepam and the second is Vishnu Deepam. If any body has a link/ story please do tell. * Birth day of Vrinda, a form of Tulsi ( elsewhere a story associates this day with the marriage of Tulsi with the Shaligrama( ammonite fossil stone) form of Vishnu! * This day also marks the day when Lord Krishna danced the rasa with Radha. Finally what I liked best was that one link told me the first day is called "Appa Karthigai) because Appams ( the sweet round varieties) are made on that day, and the second day is called "Vadai karthigai" ( Vadai's are crispy deep fried lentil preparations). That so appeals to the foodie in me!! Since I made appams yesterday, I am contemplating the vadai angle today!! But one thing is apparent to me after all this research,Humans are such seekers of celebrations, nothing derogatory please...just that we can and do find reasons to make our lives a big festivity!! 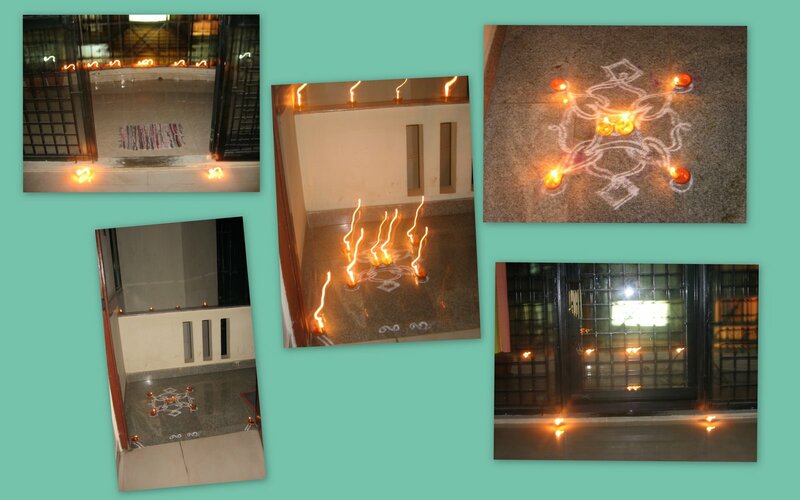 though kartik purnima is observed across various regions, I think lighting agal vilakkus is unique to TN, the rest of the country lights them during diwali. Good facts collated, but the scientific reasoning is attributed to the planetary positions which was told on Tv by a scientist. I switched on the TV when he almost concluded and said the reason was told in ancient days to the general public and when the general public refused to light the diyas (perhaps to warm up the cool atmosphere and has got something to do with the transition of planets),when the general public did'nt heed, the scientists( of yore) told the same to the king and the king ordered and proclaimed it as a festival to be celebrated by lighting diyas. And yup, a lovely light show you presented. Aah!This was the exact question I had, but no good answers yet. A friend mentioned something like 'paanchaathradeepam'but Google has not heard of it and so am rejecting it:) Nice compilation!